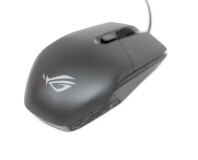 Asus has released a couple of ambidextrous mice recently. The first one was the Impact, which just didn't quite do it for us. Next, Asus redeemed itself by releasing the Pugio which mostly addressed the issues we found with the Impact. 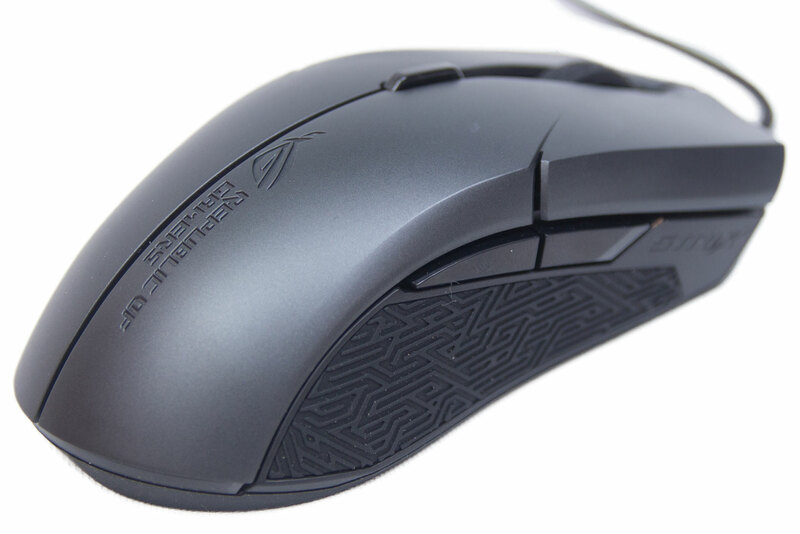 Now, Asus has released the ROG Strix Evolve. The Evolve has changeable top covers so that it isn't only ambidextrous, but you can also make it comfier for left- or right-handed users. So, let's see how it fares in comparison with the previous two mice. Inside the box, there is the mouse, a couple of Asus ROG stickers, the usual user guides, and two top covers. We will look at these more a little later on. As the mouse is ambidextrous, both sides are symmetrical. Similarities with the Pugio continue with the two buttons on each side and the 'Mayan' pattern that Asus like to use. It did take me some time to get used to these side buttons, although I did eventually; they don't protrude as much as usual buttons. I can only assume this is so that regardless of which hand you use, you don't inadvertently press the side buttons with any other fingers than your thumb. 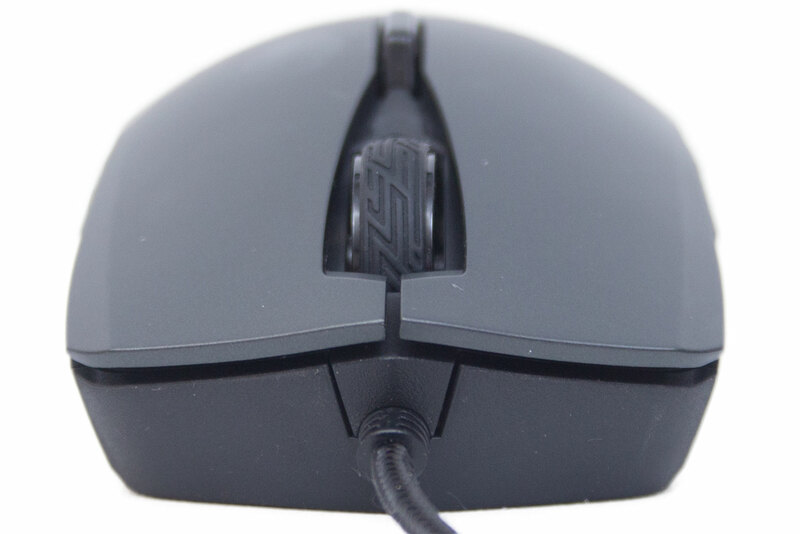 The Evolve has a nice scroll wheel like the other Asus mice as well as a button just behind it which, by default, changes DPI settings. The left and right buttons both use Omron switches and feel fine. These switches can't be swapped out like they can be on the Pugio, however, which is a bit of a shame. 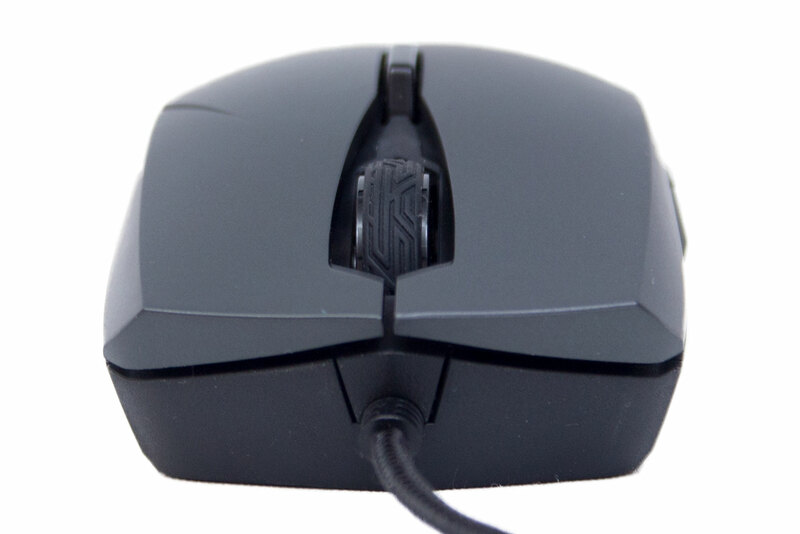 The rear of the mouse is quite low compared to some other mice; it reminds me a little of the SteelSeries Sensei. This is by no means a bad thing, as mice are very much down to personal preference, and making sure you get a comfortable grip is imperative. 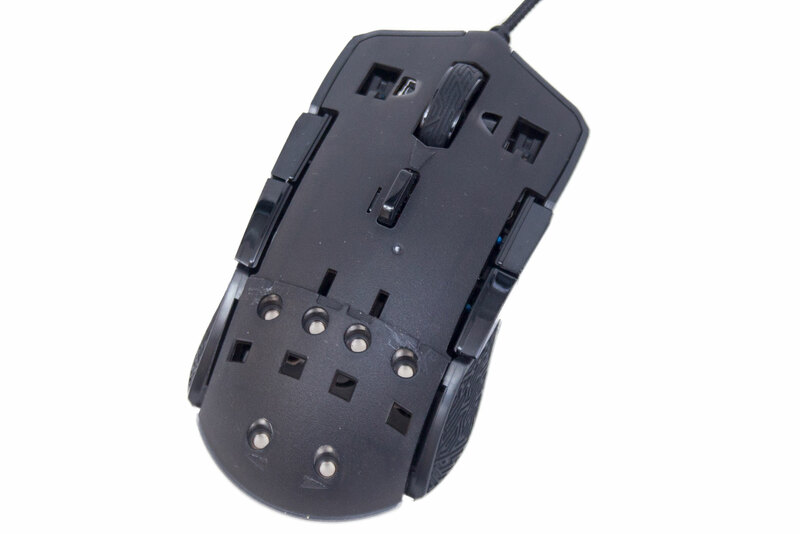 The mouse isn't too heavy, but it isn't particularly light either, so if you prefer a lightweight mouse, this might not be for you. Taking a look at the underside of the mouse, there are four skates to help the mouse glide along the surface. 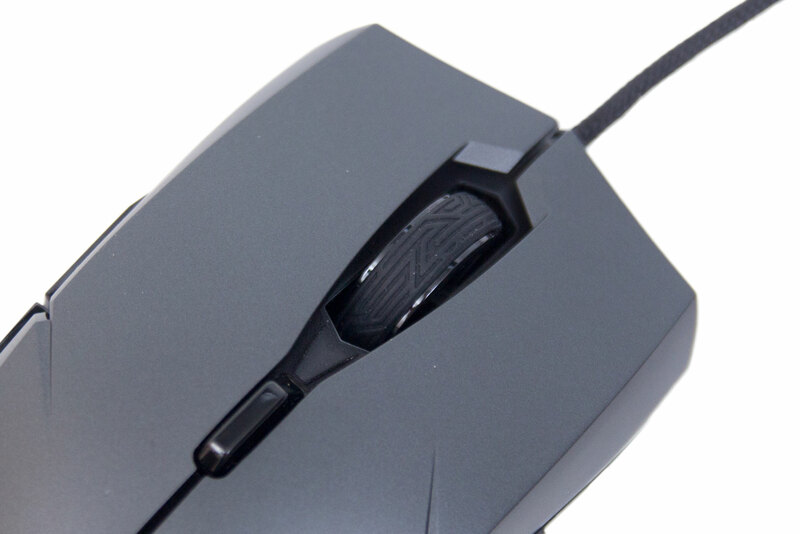 The sensor can also be seen in the centre of the mouse; the spec sheet for the sensor says that it is a 7,200 DPI optical sensor with 150 IPS and a max acceleration of 30g. Although Asus doesn't mention what sensor this is, the specs look remarkably similar to the PMW 3330. 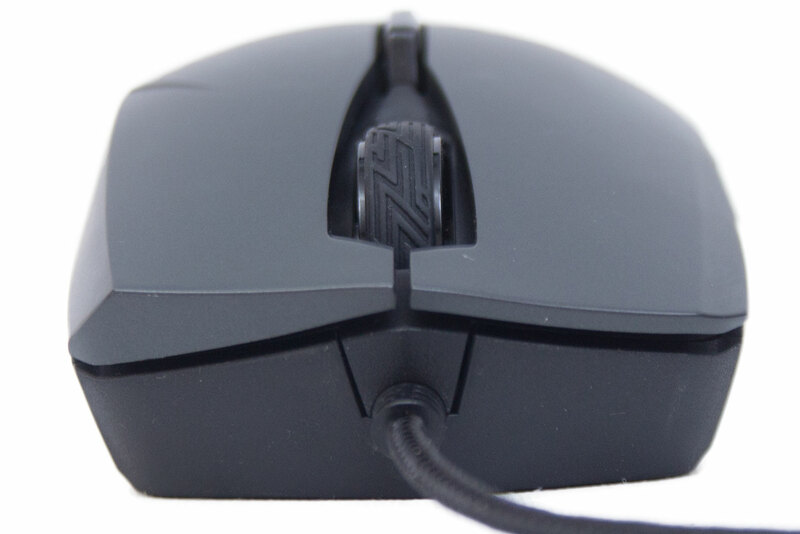 This is a solid sensor which can be found in multiple other gaming mice. Again, it would have been nice to see a PMW 3360, but most people wouldn't actually notice a difference between the two. 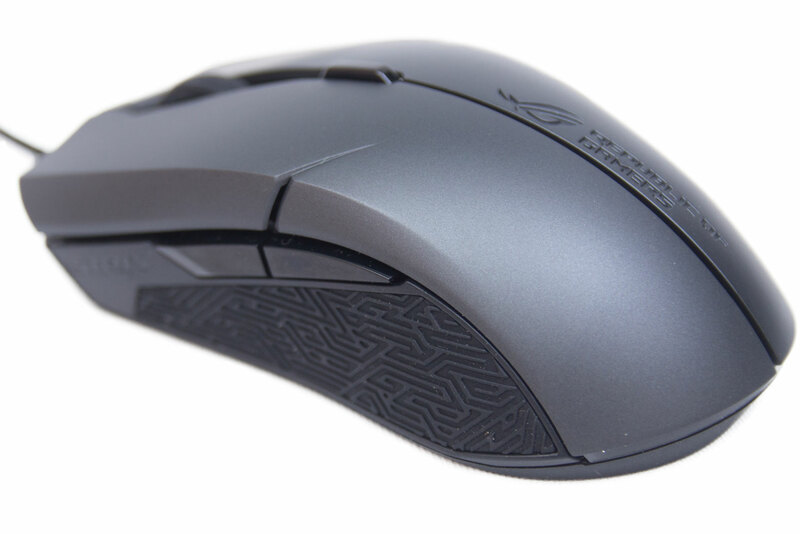 The Asus Evolve has a nice little party trick; most mice that are ambidextrous are simply symmetrical on each side so that regardless of if you are left- or right-handed, you still have a comfortable grip. 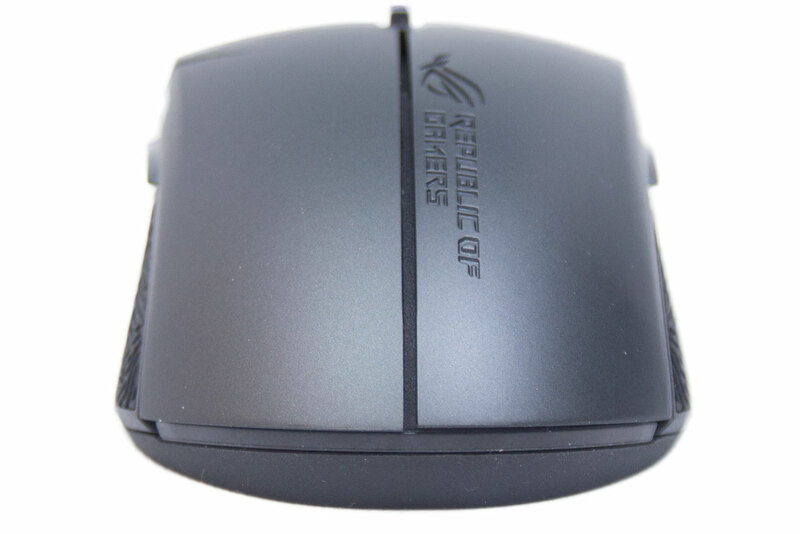 The Evolve goes one step further, as it has interchangeable covers, enabling the user to raise the profile of the left, right, or both sides of the mouse. 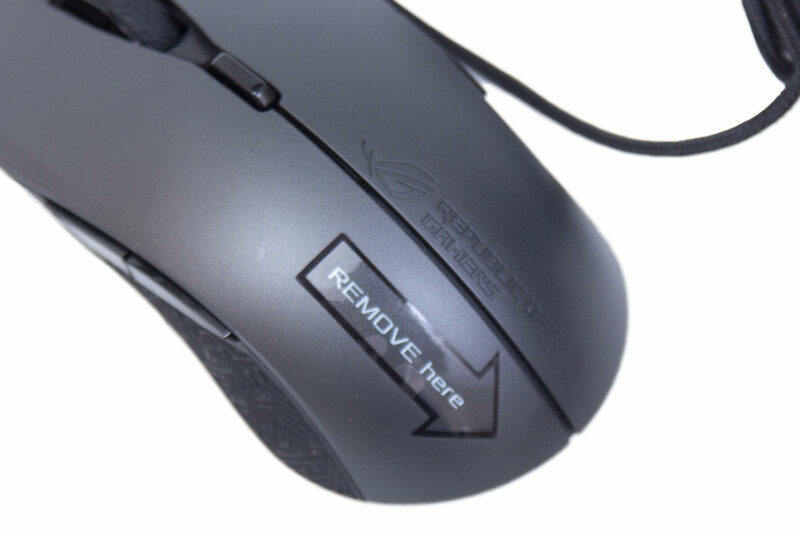 If we pop both of the covers off the mouse, the magnets that hold it on are visible, while at the front there are some locator tabs which hold the cover on instead. The covers are very sturdy, so much so that if Asus didn't put the sticker on indicating where to lift the covers, you wouldn't know they were removable. Looking at the covers next to each other, the differences are easily noticeable. The high-profile cover is a lot thicker than the low-profile cover. These covers give you four configurations. Here you can see ambidextrous low profile and the right-handed configurations. The difference might look subtle, but the changes are quite stark. If you are left-handed, you actually have an option that will keep your hand comfortable. 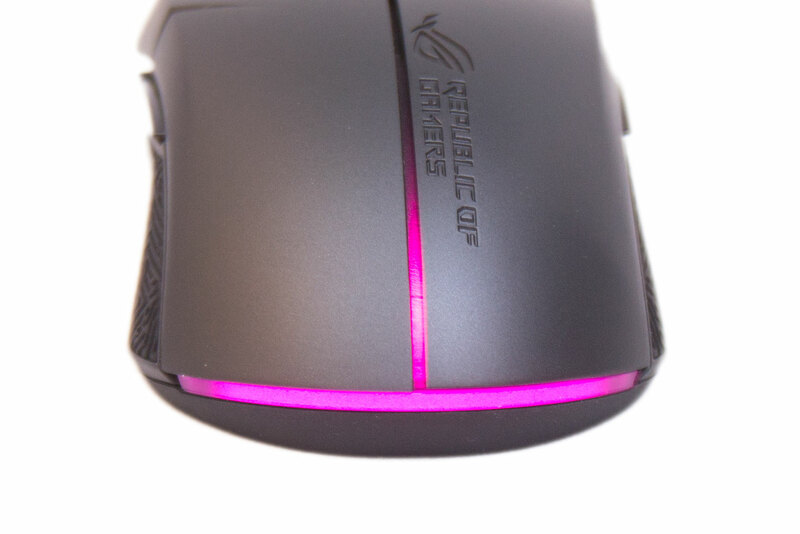 As it is 2017, the Asus ROG Strix Evolve has RGB lighting. 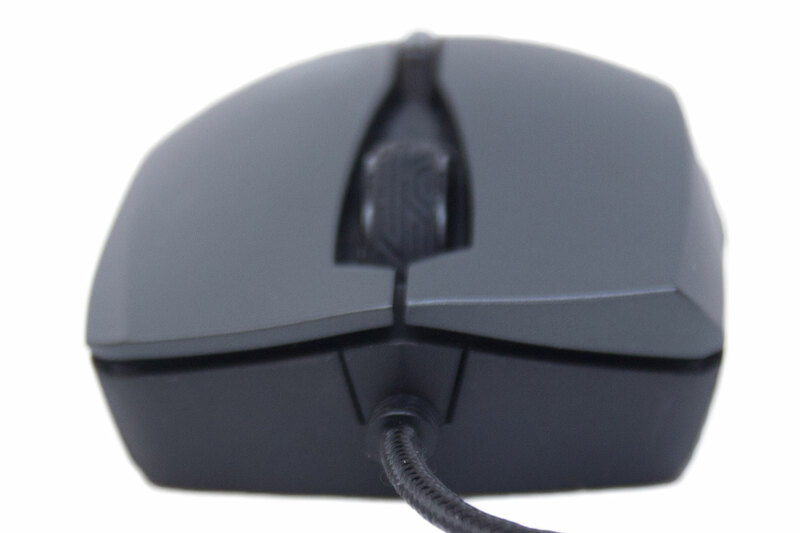 With only a single zone, it is a little limited compared to some other mice, especially as your hand covers it entirely when it's in use. It only makes sense that Asus involves RGB lighting with its products considering it has Aura Sync to its name, which enables you to control all Asus RGB LEDs throughout your system and attached devices with the same software.